This is one of those random, not-really-official-but-why-not sort of national holidays that I'm actually excited about. It's typical for girls to obsess over shoes. But if I could collect one thing it would be handbags. Not only is it practical and can retain high value if it's taken well care of, it's the main "accent" to my base, the clothes. The outfit transformer. I started obsessing during high school when my aunts gifted me bags for my birthday in high school. Back then it was all about the slouchy leather hobo bags and canvas totes. After a few false love purchases on bags that I ended up never using, I learned to be patient, save my money, and only buy what I really love (a great tactic for anything of high quality). Structure, color, material, texture, hardware, size, practicality, upkeep. Classic or just trendy? How does it look on my small frame? Can I justify the proposed price against all those elements? How much effort does the low-maintenance me need to put forth to keep it looking beautiful? It definitely sounds like I have so many, but really I'm just waiting for the day when I can afford ones of exceptional craftsmanship and keep for years and years. Givenchy Antigona, YSL Cassandra, Proenza Schouler PS1, Loeffler Rander Rider Satchell, Prada Saffiano Lux, and Fendi Trois-Jour are all on my wishlist. 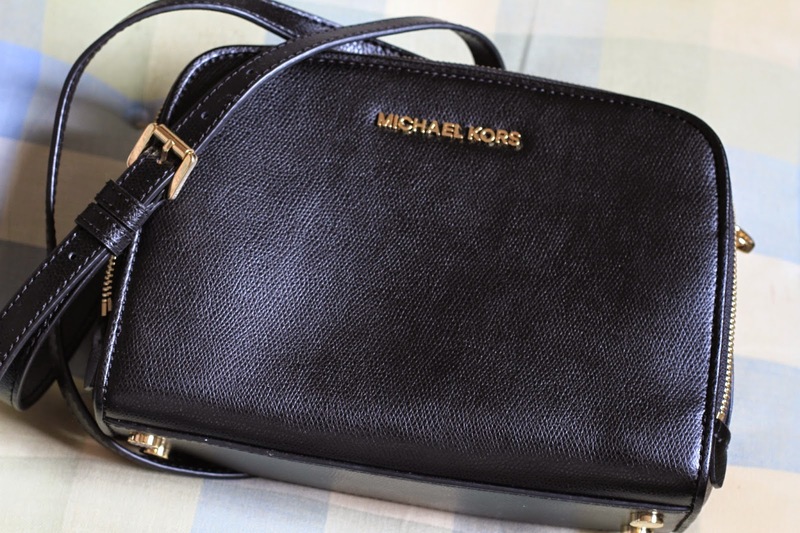 This brings me to my newest love, the Michael Kors Resse. I will be upfront and say that I am not a fan of this brand, partly because of the logo design and partly because it's owned by way too women. But there's an exception to everything. (For example, the Michael Kors Miranda tote is absolutely beautiful and such a new classic-type design.) So for the past few months I've been searching for a black bag. Sure there are so many to choose from online and in stores. But my standards for them are as high as my standards for guys, so finding one that would make my heart sing was so slim. 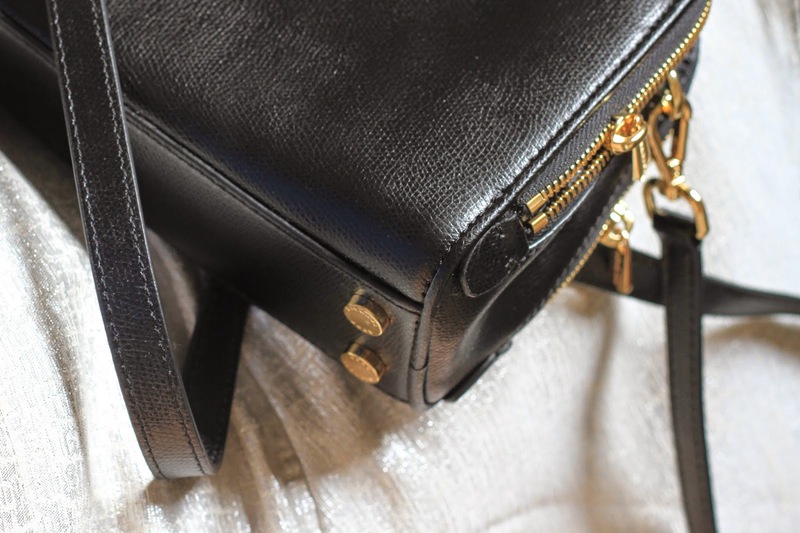 For one to stand out in my eyes, I was set on one with mixed leather textures and/or gold hardware. ...Until my mom randomly bought me this lovely bag last weekend. It has a built-in wallet!! Need I say more? Everything but the brand logo perfect about this black bag but thankfully both sides are symmetric so I can let the bag's beauty speak for itself rather than the brand logo. Metal feet to keep the bottom clean and bag upright. More brands should consider doing this. 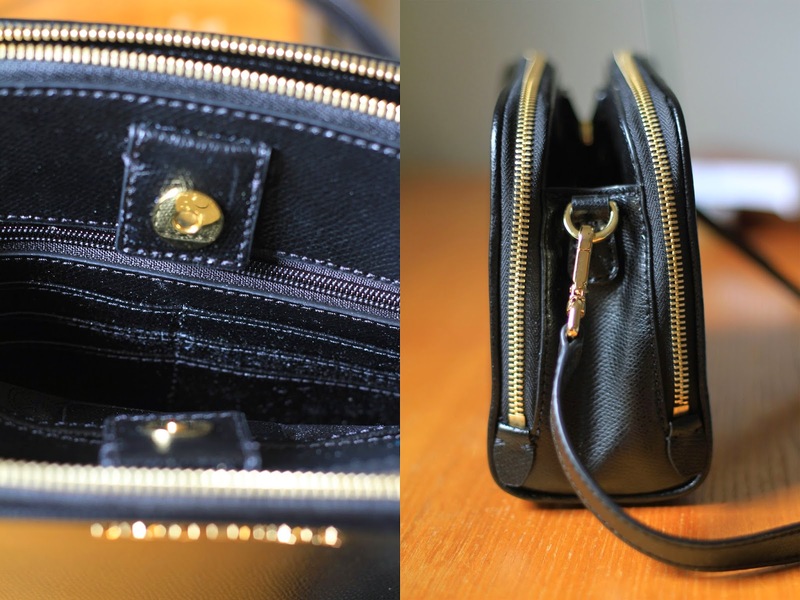 It's also a great size, being small but roomy thanks to the deep zippers and clever design. On another note, I know I've been very behind in my posts. I have so many great photos to talk about - Houston, my first photoshoot (I'm behind the camera of course), and from out west - but truthfully it's been very rough at school. In fact I become so exhausted throughout the week that I sleep by 11pm on Friday and Saturday nights! Such rarity in the past. But the good news is that I've secured an internship for next year already! More on that in my internship blog post.